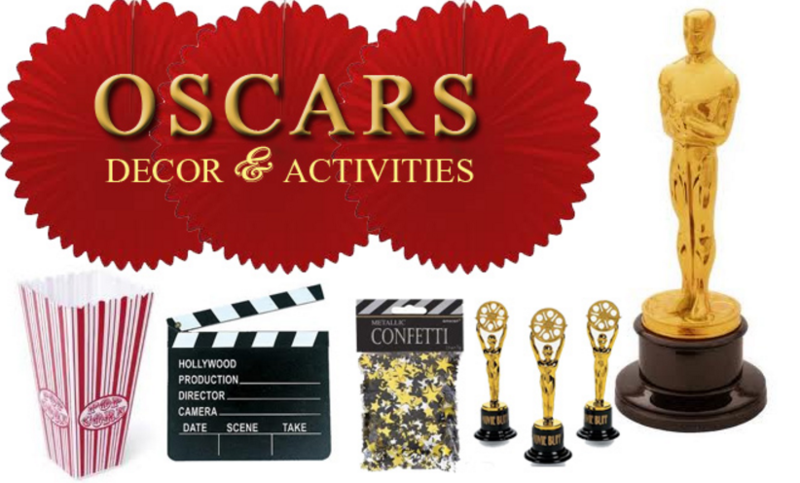 Who loves watching the Oscars? This girl! It’s so fun seeing what everyone’s wearing, cheering for the movies you’ve seen, and even cheering for the movies you haven’t seen. If you’re having an Oscars party this Sunday, you’re going to want to take a look at this centerpiece. I started with just a plain vase from the dollar store and I painted it gold. I just used some watered down acrylic paint and painted it from the inside so that it would still maintain a shine from the glass on the outside. I found some Hollywood-themed decorations at Party City and bought some napkins with gold star prints on them. I then cut out the stars as well as gold starbursts that were on the napkins and then glued them on the vase. Add a gold and silver balloon weight inside the vase and you have a quick and easy centerpiece for your Oscars party!